Haier is one of the leading brands in the world that deals with Home and laundry appliances. Currently it has 5 R&D units, 61 trade companies and 21 industrial parks globally and employs 80,000 people in different parts of the country. It manufactures its products with the world class standards and aimed at offering the best quality products. Haier Airconditioners are available in different models and stylish designs under categories like split AC and window AC. It includes many comfortable features line power consumption, 3D intelligent airflow, long distance air flow, Nano aquo etc. 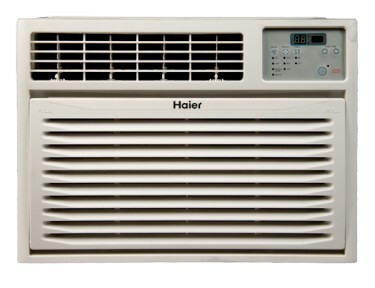 Haier Air Conditioner Customer Service Phone Number– The customers can call the Haier AC customer care numbers mentioned below to solve the issues related to the Haier AC. Customers can also visit the Haier AC Service Centers in India to repair & serivce their AC Products which are given below. Address: Ground Floor, Shop-4, Old Panvel, Takka. My ac has not been working for the past 3 months now and when i ask your company about that, they say that there is no part available. Its really becoming useless because i keep calling all your numbers and everyone is passing the buck around. I call the agency who gave me the ac(Acme porvorim Goa) and they keep telling me that the company still has not got the part. And its a new ac. Why are youl manufacturing an ac if there are no parts.???? But again after calling and calling i get a call that the part has arrived but when i call back the next day, the company seems to have no idea about it. Please call me on this. Haire has really made my life a living hell. Bought under the name of Claudio Dmello. I HAD PURCHASED 10 MONTHS BACK FOUR SPLIT AC 1.5 TONNE FROM YOUR DEALER IN GAYA BIHAR. OUT OF FOUR ONE AC COMPRESSOR HAS BURNED AND AFTER COMPLAINING LAST THREE MONTHS HAVE PASSED AND NO ACTION HAS BEEN TAKEN FROM YOUR COMPANY SIDE TILL DATE.IN THIS COMPETITIVE WORLD AFTER SALE IS MOST IMPORTANT TO GROW THE SALE. I AM A DEALER FOR PIAGGIO 3 WHEELER AND HONDA 2 WHEELER IN GAYA. KINDLY DO THE NEEDFUL SO THAT I CAN COME OUT OF THIS PROBLEM. we have facing your company HAIER A.C problem, but your help line contact no is not pick, so we have wright to mail, my concern is our A.C (HAIER) is not cooling seance two month but your side is no action we have fed this condition pls kindly do the need ful.